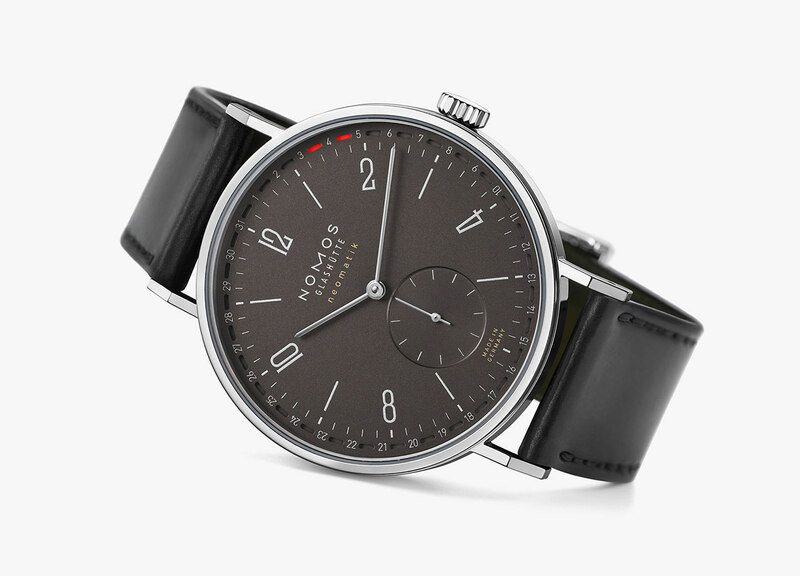 Nomos Glashütte presented a new variation of its Tangente neomatik 41 Update, a model that was introduced last year on occasion of the Baselworld event. 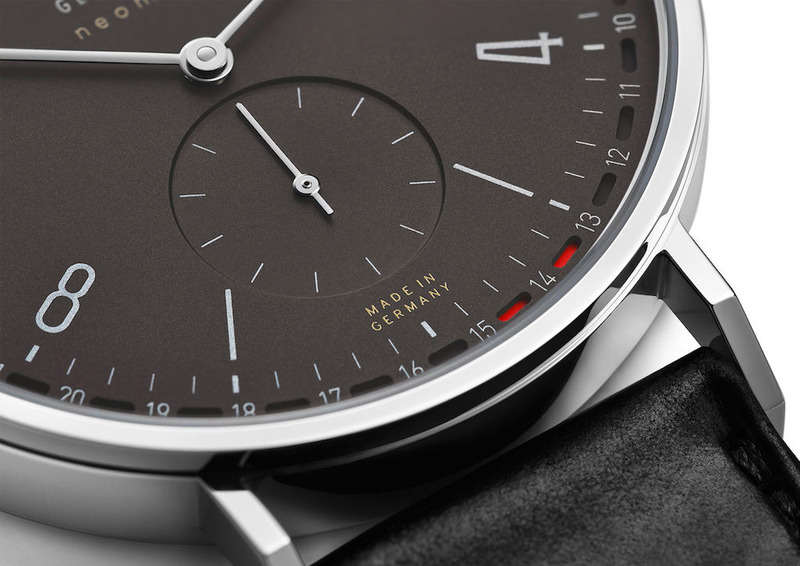 The new model is characterized by a galvanized dial refined with ruthenium which enhances its elegance with dark nuances shifting between dark gray and golden brown. Ruthenium is a member of the platinum group and a very rare element. The date ring that circumscribes the dial uses two contrasting red markings to frame the current date. 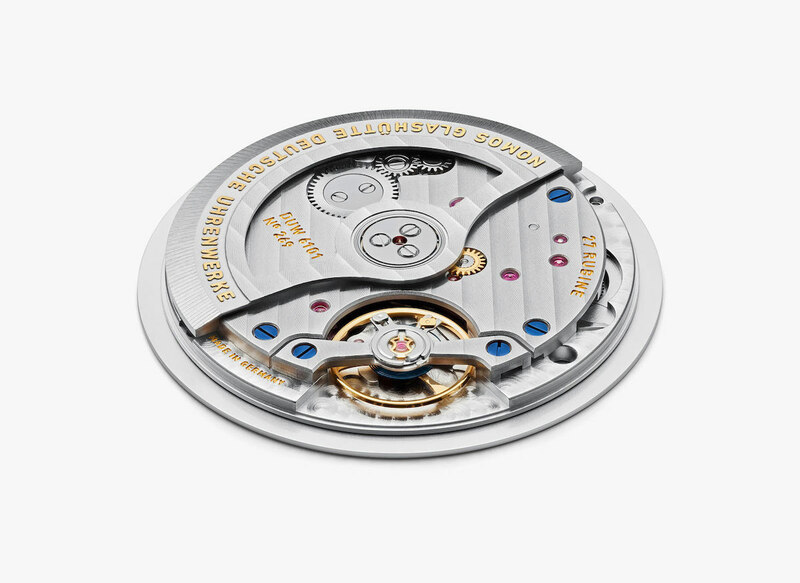 The clever and distinctive solution is powered by the in-house built DUW 6101 caliber, whose quick-change date function can be easily set with a slight turn of the crown in either direction. 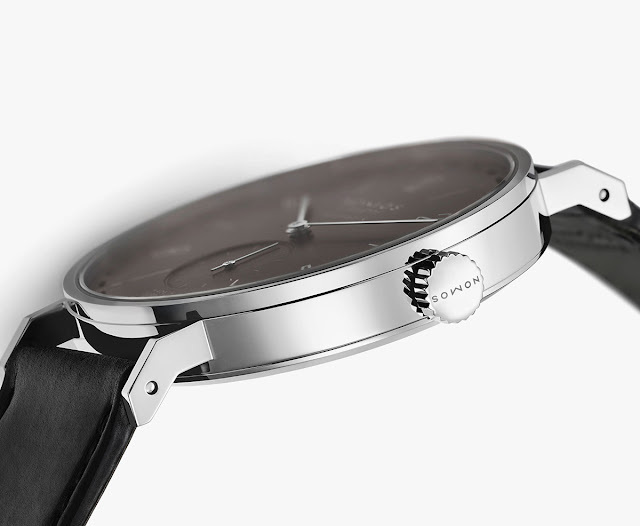 Beating at 21,600 vibrations per hour, it offers 42 hours of power reserve. 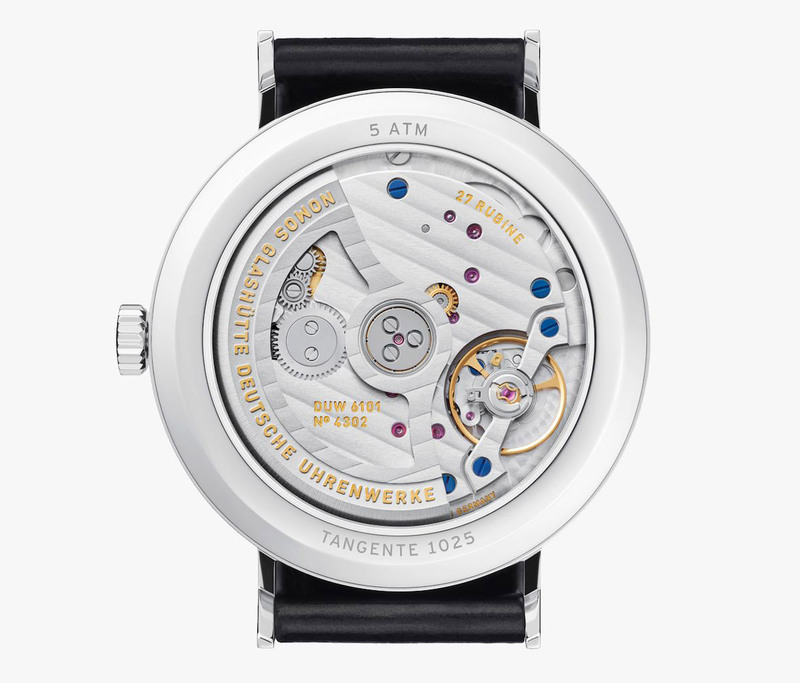 The Tangente Update Ruthenium has nice proportions with a 40.5 mm stainless steel case which is just 7.9 mm-thick thanks to the slimness of the ultra thin movement (3.6 mm). 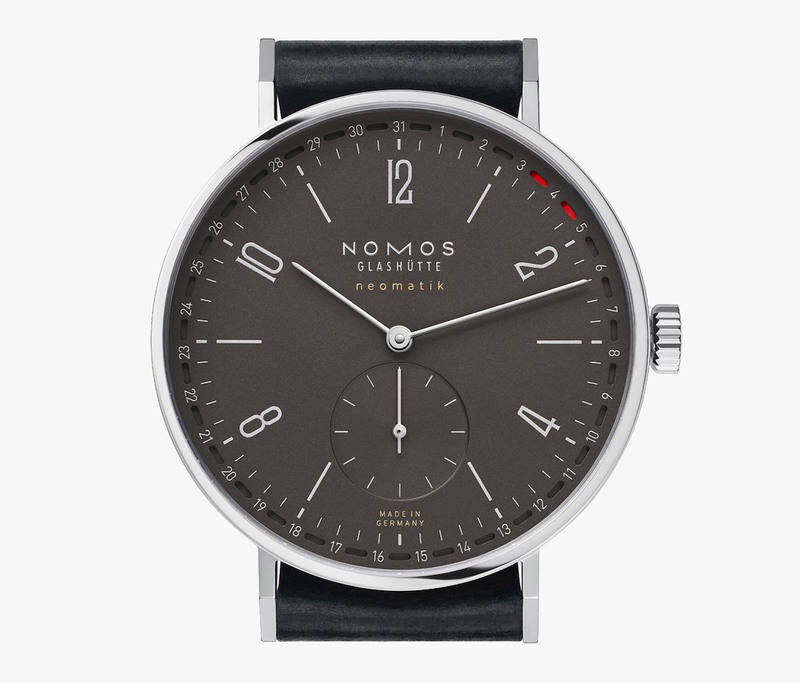 Nomos Tangente Update dark platinum. 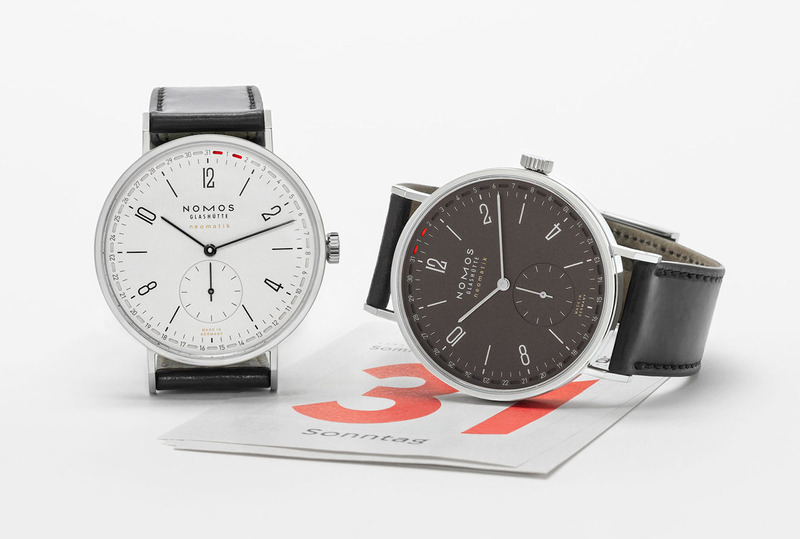 Nomos Glashütte presented a new version of its Tangente neomatik 41 Update model that was introduced last year on occasion of the Baselworld event. 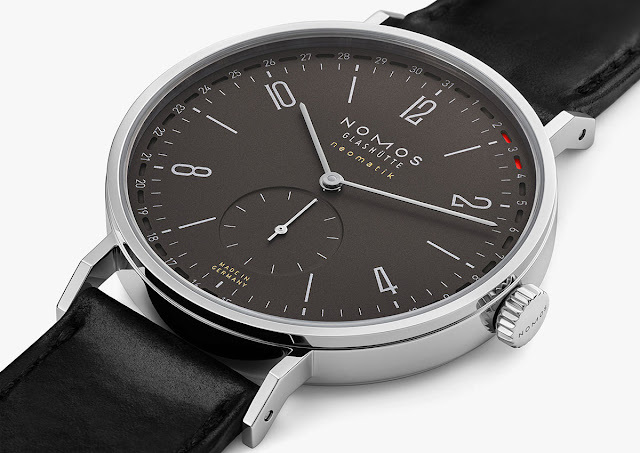 The new Nomos Tangente neomatik 41 Update ruthenium will be available from spring 2019 with a price of Euro 3,200.